There’s no better way to show that special someone how much you care than with a personalized romantic gift! What is a personalized romantic gift? How about a video that records all the happiness moment you own together? Or a Blu-ray/DVD/Video tool to help your boyfriend to rip, copy, organize, manage and play his collected Blu-ray/DVD movies? Pavtube offers a collection of Blu-ray/DVD/Video tools gift ideas for your one-of-a-kind love, so you’re sure to find the perfect item for your loved one. Perhaps, you have recorded some warm time with your iPhone 6S, Samsung Galaxy Note 5, Panasonic AG-HPX173MC/AG-HPX260MC and other smart phones, camcorders. Now it is the time to make your own romantic movie with these video fragment to show your love for your girlfriend at Valentine’s day. But before the production, you may need to convert the recordings to a format that your video editing software supported, like FCP X/6/7, iMovie, Premiere Pro CC since sometimes the format of the recordings of your smart phone or camcorder. Or you need to trim, crop, split and merge these recording videos. Pavtube gives you the solution with the help of Pavtube Video Converter Ultimate and Pavtube iMedia Converter for Mac. These two video programs are designed to handle various video files such as MP4, MKV, AVCHD 4K MTS/M2TS/M2T/TS, etc to output video formats not only supported by NLEs like FCP X, iMovie, but also by different devices, like iPad Pro, PS4. The most remarkable feature of these video converters is to output 6 types of Apple ProRes formats in Apple ProRes family, and they are Apple ProRes 4444 XQ, Apple ProRes 4444, Apple ProRes 422 HQ, Apple ProRes 422, Apple ProRes 422 LT, and Apple ProRes 422 Proxy, Apple Prores MOV, which is the best editing video format for FCP X, iMovie, Premiere Pro CC. What’s more, it also allows you to trim, crop, split and merge videos before you transcode your recordings to produce a romantic movie as Valentine’s day gift. If you’re looking for a gift for your Valentine and your boyfriend happen to be a big movie fan that have collected lots of discs, what gift will be better than a Blu-ray/DVD Ripper/Copier to help him backup Blu-ray/DVD to NAS,Cloud Storage, External Hard Drive to protect his precious discs? Pavtube offers cute Valentine’s Day Coupons for Blu-ray/DVD Ripper/Copier to give you the chance to pick out the best Valentine’s day gift for your movie fan boyfriend. 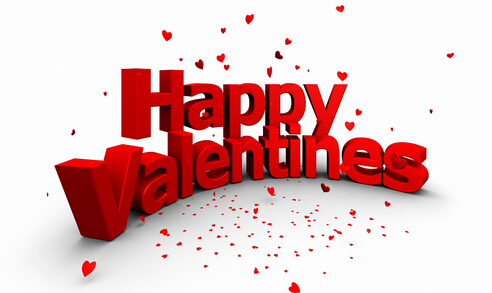 Now, have a look around and find the right programs for your Valentine. Key features: Copy BD/DVD with original structure, and convert 2D/3D Blu-rays and standard DVD for watching with fast speed and wonderful quality. Key features: Powerful abilities to remove DVD protection, convert DVD to any video and audio format, and edit DVD to create personal movie.